You've heard of cellar doors, right? Well, these are distillery doors. They're like cellar doors, except they punch a lot harder. We've driven around Victoria, sipping gin and knocking back fingers of whisky, just to bring you the very best regional distilleries in the state (it's okay—we had a designated driver, the poor chump). If you're planning a weekend road trip, we highly recommend taking a tipple at any of the following. When God closes a window, he opens a distillery door. Here are the best in VIC. Welcome to a brand new distillery door for the Bellarine Peninsula. The Whiskery technically opens on ANZAC Day this year, but the Bellarine Distillery has been pumping out whisky and gin for a little while now. 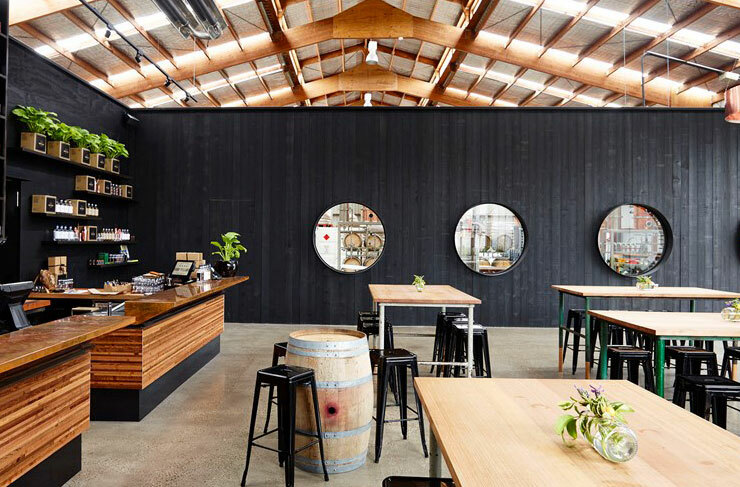 This is their cellar door and tasting room: a converted corrugated iron shed, schmick as on the inside, where you can come and taste a tipple of single malt whisky (brewed on-site by Owners Russell Watson and Lorelle Warren) or some fresh-made gin from Teddy & The Fox. You’ll find them are 2101-2120 Portarlington Rd in Drysdale. When people think ‘country VIC distilleries’ this is the place they think of. Four Pillars has become a household name for years (if your household is particularly boozy), and their distillery door in Healesville is pretty much the #1 attraction in town. You can get walk-in tastings for $10 bucks a head until 5:15pm everyday—although if you’re a big group, you’ll have to book. There’s a goodly amount of table space indoors, and you get a cracking view of Wilmer, Jude and Eileen (Four Pillar’s three, giant copper stills). Four Pillars isn’t the only name in Yarra Valley gin—Alchemy has got in on the action recently with a kickass new distillery door, also in Healesville. This isn’t a massive corner complex like Four Pillars. In fact it’s actually tucked in a laneway off the main drag, inside an old bakery (how very Melbourne). Inside you’ll find a 1000L Hybrid Pot Still and all the tastings you could want. Chamomile Gin, Quinoa Vodka, and Moonshine are the ones you want to try. Best to set up camp in the gin garden out back. You’ve gotta love a family-run gin distillery. Wendy Williams and her partner Simon Brooke-Taylor started Hurdle Creek Still back in 2016, and now they’re got most of the clan running the operation. Every single step is performed here on site, right down to milling the grain and distilling the base spirit. Most of the botanicals are grown right here on the farm, too: think lime leaves, orange peel, pink peppercorns and hops. You’ll find Hurdle Creek down the end of a bumpy track in Milawa. Just keep going till you see the giant corrugated shed. You might have noticed these guys in the gin joints and cocktails saloons around town. They made a splash in 2017 with their lurid Cerise gin, infused with cherries and raspberries. 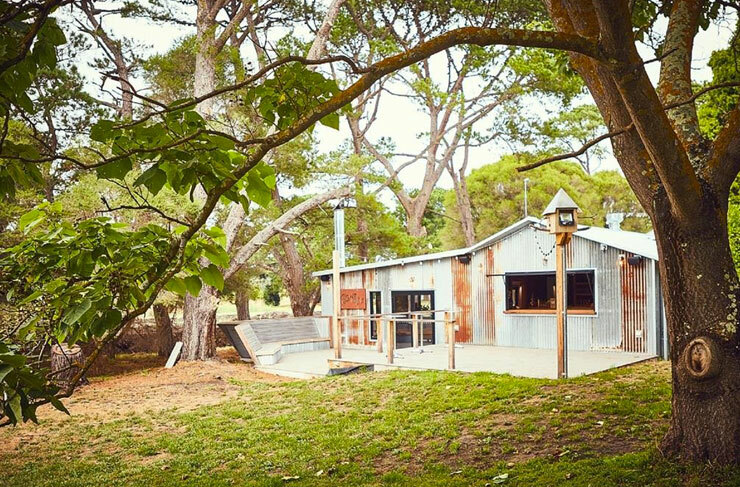 Bass & Flinders is an uber-cute gin distillery in the middle of Red Hill—part of the Mornington Peninsulas famous ‘wine food and farmgate trail’. There’s a bunch of different tasting options you can try (all of which are refundable if you pick up a bottle to take home). We recommend the full shebang: $20 gets you a taste of their 3 gins, plus grappa vodka and a homebrewed Limoncello. Nom. Just take our advice: when you’re driving down to The Prom and you see the turnoff for ‘Loch Village’, take a right. Might just be the best decision you ever make. Not only is Loch a seriously cute pit-stop, there’s also his place: The Loch Brewery & Distillery. Home to traditional-style beers, gins, vodka and (thank god) a long-awaited single malt. If you’re after a savoury gin with native overtones, The Weaver is a good bottle to start. And you can chase it down with a Loch Dark Ale (dark as midnight, but pretty easy drinking). Make sure you take some time to check out the hand-beaten alembic copper pot stills. That’s where the magic happens. 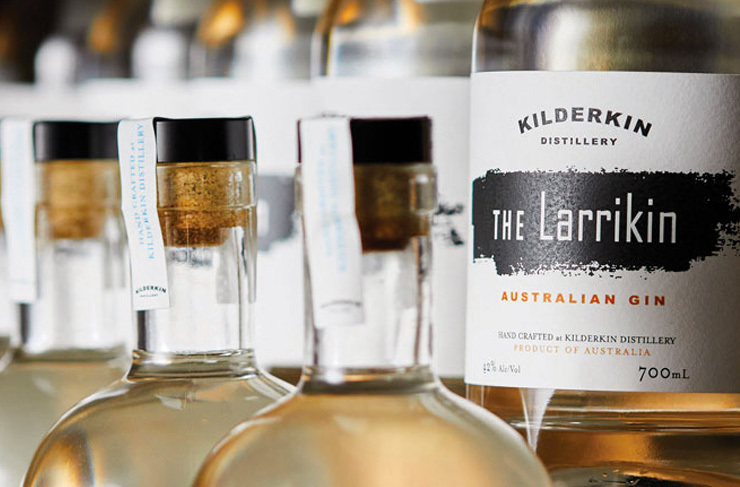 Kilderkin popped up in Ballarat in 2016. It’s actually the first distillery in the region since the 1930s (when the old Warrenheip Distillery closed down). Being a new distillery, Kilderkin’s whisky is still a few years off (they reckon the first drams will be ready by 2019 or 2020). But gin fans can happily go to town on The Scoundrel (a London dry gin) and The Larrikin (a true blue Aussie gin). 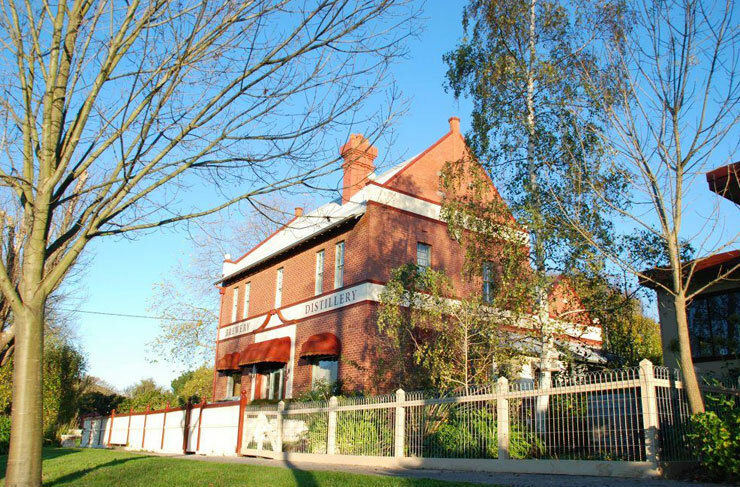 You’ll find Kilderkin on the same site as Red Duck Brewery, on Michaels Drive in Ballarat. You can swing by from 12pm to 5pm on weekends for a gin flight or two and a squiz at the big copper stills. They also offer distillery tours for small groups, but you’ll have to book ahead for those. You know a Reed & Co gin when you drink it. There’s a distinctly Australian twang to the botanicals. Heavy on the juniper, eucalyptus, pine, rounded out with green tea, shiso and honey. Very very smooth. And their little distillery door in the High Country makes a cracking pit-stop on your way to the ski fields (just make sure to bring a DD). You can swing by most days and enjoy a tasting flight, but they also offer distillery tours and 3-course lunches for bigger groups (definitely need to book ahead for these bad boys). Don’t leave without grabbing a bottle of the Remedy Gin. Whisky! Glorious, single malt, blow your nose off whisky, made right here in Timboon. There aren’t a heap of dedicated whisky distillers in country VIC, so this place is one to treasure. Timboon Railway Shed distil the stuff in a giant 600L Knapp Lewar copper pot still, which you can check out on a distillery tour. The whisky is scotch-style: a real smoky, nostril-blaster. Start with a few tastings at the distillery door, then head to The Shed for lunch: there’s a seasonal menu, cracking coffee, homemade cakes and some very good local wines. It’s also the start of the Timboon to Camperdown Rail Trail (literally, you can hire a bike right next door). Herbal Lore, as you might have guessed from the name, is a distillery door dedicated to boutique liqueurs, mostly of the herbal, this-might-be-medicine-but-who-cares-it’s-delicious variety. The gorgeously wrought bottles have names like Escalibre, Midnight Desire and Harmony, and are brewed from mysterious stuff like Bergamot, Elderflower, Siberian Ginseng and Calendula. There’s also a range of specialty ports, whiskies and dessert liqueurs. Pick up a bottle to take home, or sit down with owner Roger Mclean to discuss all things herbal over a cheeky tasting platter. 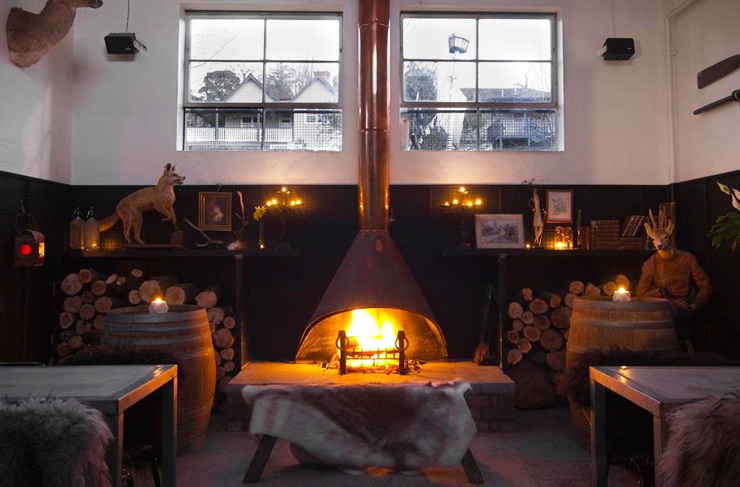 You’ll find this place inside the old Daylesford Butter Factory, near the Wombat Hill Botanical Gardens. You might not have heard of Farmgate. It’s a quiet little craft brewery and distillery in St Arnaud, on the edge of the Grampians. It’s a gorgeous spot, set on a 20-acre property in the heart of the Wimmera Mallee grain belt. It’s probably best to set aside a few hours for Farmgate, because you’re going to want to explore. Say hello to residents like Rowdy (the kelpie), Mojito (the cat) and Puddles (the pig), try a few boutique spirits and craft beers and soak up that Grampians sunshine. If you want to make a night of it, the team are currently building two bell tents and two safari tents, so glamping is just around the corner. The kids can also keep themselves busy with footy, cricket, kite flying and yabbying on the property.